LG Uplus, a subsidiary of LG announced that Korea based Ushin General Construction has selected LG Uplus’s IoT @home platform for the Class Apartments in Geumwang Wooshin, South Korea. 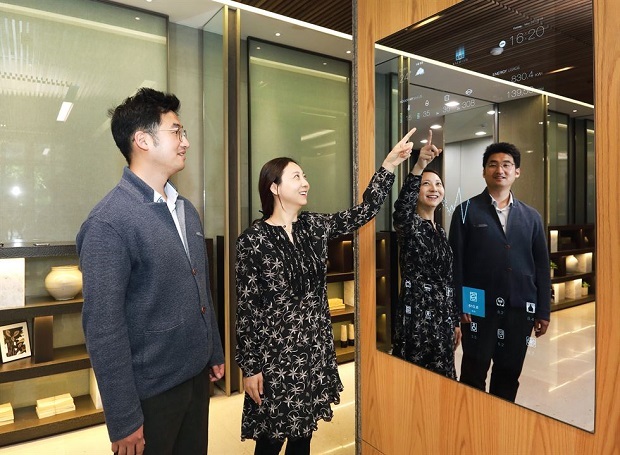 The LG Uplus apps will be integrated in different services within the home, allowing residents to use connected home appliances such as heating and cooling, lighting and gas control, unmanned delivery services, energy usage checks and parking controls. No Country’s government can hide or turn a blind eye to the development of smart technologies; especially if it relates to smart cities. A smart infrastructure has the potential to save a country billions of dollars and enhance the lives of its citizens. Before, these can be realised there a few key areas that if not supported will hinder smart city development and rob a country and its citizens of the benefits. The changes in social structure and economics have always influence our movement and more so in our modern society. This has lead to strain on certain resources in certain areas prompting the need to better manage these resources with smarter technologies, leading to the creation of smart cities. The building of smart cities such as Songdo, South Korea and Living PlanIT, Portugal are proof of how a city’s resources and infrastructure can be connected to support a cohesive lifestyle, between people and their environment. Like other countries around the world, the UK wants its cities to be smart, connected, energy efficient and maximise its resources. Recently 30 of the UK’s cities were nominated to be the test bed for the latest smart cities initiatives. Of the 30 possible UK cities, the department of innovation selected the city of Glasgow to be the recipient of a £24 million investment to demonstrate how Britain’s cities will use technology in the future. The Portuguese are building a city that has never been see or built before, except in the minds of the designers. A place where the environment feeds off us and wee feed off it. Through the use of the Urban Operating System (UOStm) the physical structure will be fitted with embedded sensor technology that allows it to manage it resources based on feeds it gets from us and the other systems, such as other machines and the atmosphere.